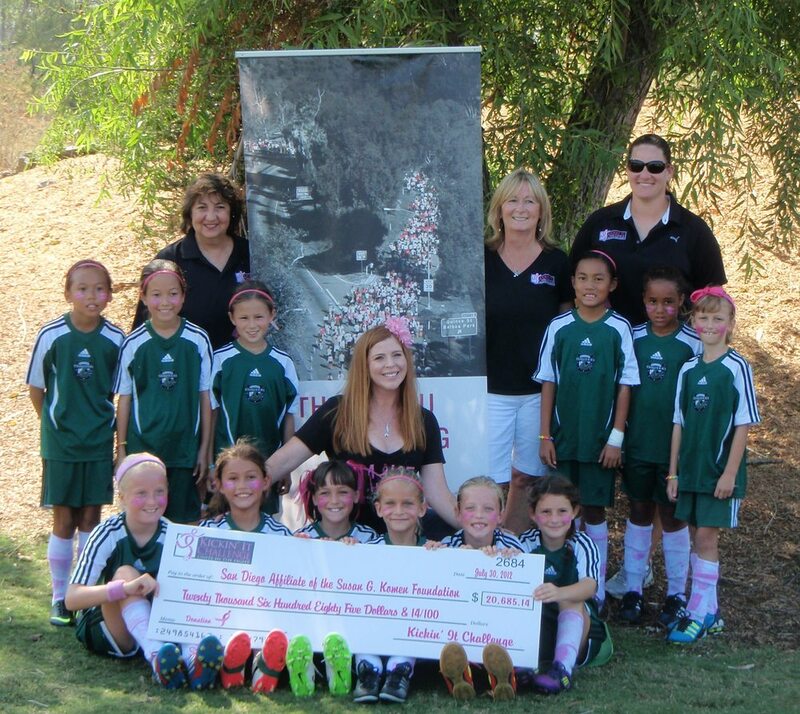 The is San Diego Kickin’ It Challenge is a charity event which is comprised of a youth soccer tournament, silent auction and a Kick-off Gala Dinner and Auction event. 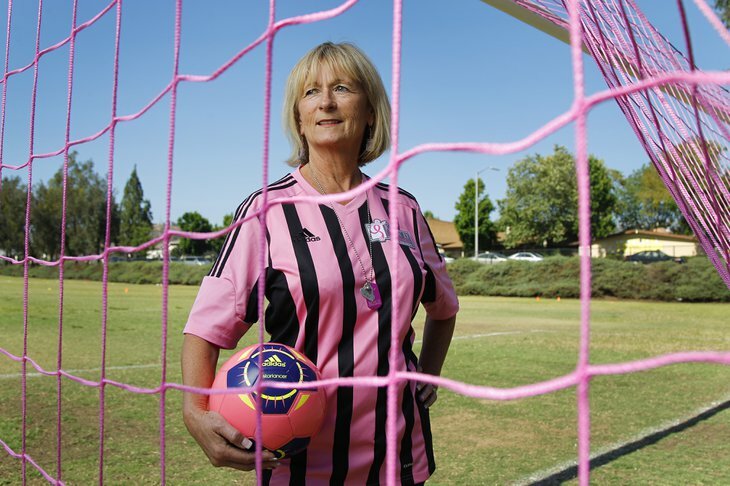 The idea for the Kickin’ It Challenge (KIC)was born after Founding Director and President, Pam Bickel, had a startling revelation that so many moms from the soccer community that Pam is a part of were battling breast cancer. How were they managing? Who was helping them? What could she do to help? One day Pam realized that yet another mom from her community of “soccer” moms was battling breast cancer. She was at a soccer tournament in August 2011 chatting with a mom she had known casually for years, it wasn’t until she had walked away that Pam realized something was “different” – her friend was wearing a wig. It was at that moment Pam thought “we need to do something.” Pam called a friend and fellow Poway Vaqueros Board Member and together they said “let’s do a soccer tournament in support of breast cancer”. That’s how it got started. Pam and her friend, Beatrice Cubitt, sent a couple of emails to other “soccer” people and after a few more conversations two weeks later KIC had a name, a logo, and a mission. That was seven years ago. Since its inception KIC has raised more than $275,000. These funds have gone to make a difference in the lives of women in the San Diego community who are fighting breast cancer and have given their families the support of knowing they are not alone in the journey. In late 2013, KICwas contacted by two “moms” from South Carolina who wanted to do the same thing. On Mother’s Day weekend 2014 Pam and Beatrice of Kickin’ It San Diego had the privilege of attending the inaugural event of’ Kickin’ It Challenge the Carolinas. Yes, the Carolinas! Starting here in San Diego, we are now touching the lives of womenin North and South Carolina; supporting them through their breast cancer journeys. Our hope is that more soccer communities around the United States will join with us and take on the Challenge to “Unite in the Fight” and make a difference NATIONWIDE. It is an honor and a privilege to do what we do. We are a group of dedicated volunteers who gathered together to help make a difference in the lives of others. Please check back often to see how you can join us in making a difference. We look forward to seeing you on the KIC pitch!